Canyon Country Discovery Center creates lifelong learning experiences about the Colorado Plateau for people of all ages and backgrounds through education, service, adventure, and conservation programs. 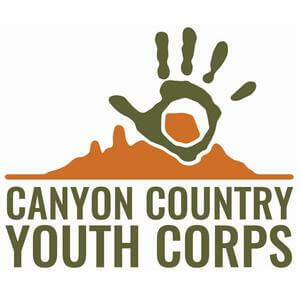 The Canyon Country Youth Corps (CCYC) is a program operated by the Four Corners School of Outdoor Education in Monticello, Utah. CCYC provides opportunities for youth and young adults, ages 15-25, to participate in service work projects on public lands in Southeastern Utah in partnership with the land-managing agencies of the region. Projects include trail maintenance and construction; fence construction, repair or demolition; habitat restoration; mechanical and non-mechanical thinning; invasive species removal and treatment; and other conservation related projects in backcountry and front country settings. CCYC involves youth from the four corners region as well as national hires. The CCYC experience improves work readiness, employment prospects, and economic independence for youth. The CCYC experience fosters a healthy lifestyle: respect for self, others, natural resources, and the outdoors. The CCYC experience pays a wages, provides AmeriCorps education awards to youth who work 300 hours or more, allows youth to work towards completion of their GED, and improves job and life skills.